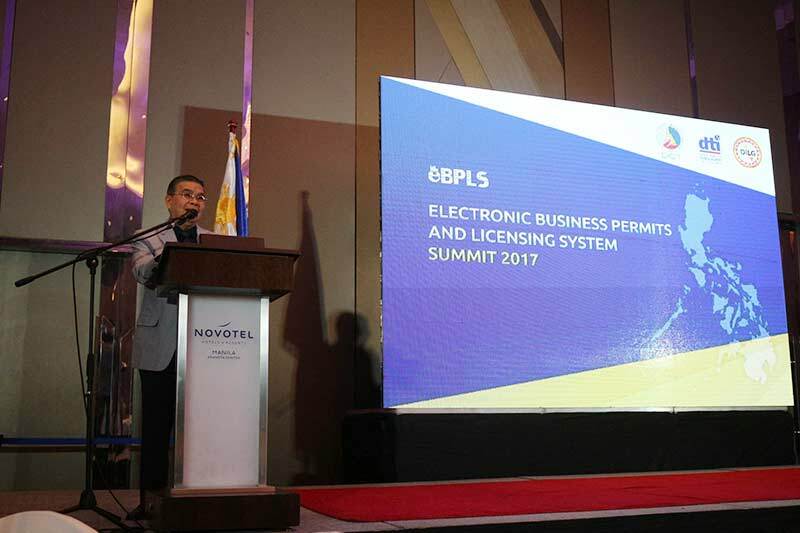 The Department of Information and Communications Technology (DICT) in the Philippines has launched a cloud-based eBPLS (Electronic Business Permit and Licensing System) software for Local Government Units (LGUs). The eBPLS software enables LGUs to process application for new and renewal of business permits electronically. It automates the processing of business permit application, assessment, collection and release and report generation. The new software will enable compliance with the revised service standards of the Joint Memorandum Circular (JMC) No. 01, Series 2016, signed together with the Department of Trade and Industry (DTI) and the Department of Interior and Local Government (DILG). The Memorandum specified that a single or unified business` application form shall be used in processing new applications for business permits and business renewals consolidating all the information on a business registrant needed by various local government departments. It also set out limitations on the documentary requirements for application submission or new business registration and for license renewal for existing businesses and tries to prevent situations where applicants have to submit the same documents multiple times to different government departments. The Memorandum says that processing time for new business permit applications should not exceed 1-2 days and 1 day for renewals. eBPLS is one of three initiatives under the Electronic Governance in Local Government Unit (eLGU) Project, which aims to make the LGUs electronically enabled in order to improve the delivery of public service, promoting transparency in government transactions and increasing public access to government information services. In addition to eBPLS, eLGU includes the Electronic Real Property Tax System (eRPTS) for automating key functions in the LGUs’ real estate taxing operations and Electronic Treasury Operations Management System (eTOMS), covering all business processes performed by the Treasury Office of an LGU. The launch happened at the eBPLS Summit on July 18, 2017. Speakers spoke about smart nation strategies to cloud deployment models, cybersecurity initiatives, ePayment portals and more. “The sooner we move all LGUs online with their business permits and licensing system, the better public service the Filipino people get,” DICT Secretary Rodolfo Salalima said. There was a signing ceremony between the DICT and its development partners and the LGU eBPLS users capped off the summit. The collaboration aims to promote the ease of doing business in the Philippines. In the 2017 edition of the Ease of Doing Business report by the World Bank Group, the Philippines ranked 99th out of 190 economies, four places up from the 2016 survey. A slight decline was reported in the ‘starting a business indicator’, as Philippines went down from the 164th to 171st position. The report highlighted that during the past year, the Philippines made dealing with construction permits easier by increasing the transparency of its building regulations (for example, the Department of Building Official Services of Quezon City updated its website to list the required preapprovals needed to obtain a construction permit.). Paying taxes was made easier by introducing an online system for filing and paying health contributions and by allowing for the online corporate income tax and VAT returns to be completed offline. As part of the JMC 2016, the DICT conducted an e-Readiness survey that measured the preparedness of LGUs for utilising ICT as a strategic tool in the delivery of public service to their constituents. A total of 818 LGUs (58% of the total) responded. Based on the survey results, DICT identified the top 10 Cities and top 10 Municipalities, who will be given priority in the training programmes to be conducted. They were also awarded for their e-Readiness Leadership during the summit.